As per the research held at Brigham Young University, doing intense workout on regular basis can slow down aging by a decade. We all know that unhealthy lifestyle can damage our cells, but this study reveals HIIT can slow down aging. HIIT cannot freeze your age. Basically, a team of scientists from Brigham Young University found that it helps in rejuvenating ribosomes (protein-building factories of cells) and boosts mitochondria (energy-producing capacity of cells). Those who perform high-intensity workout like 40 minutes jogging or cycling, five days a week can keep their cells nine years younger. Our genes are arranged in twisted, double-stranded molecules known as chromosomes. The ends of chromosomes are tied with a DNA known as telomeres. It help in protecting are genetic information, hold secret information like how he age and get cancer, and help in cells division. They work like a plastic that holds end of laces. This survey includes study of telomere lengths of 5833 adults. People with sedentary lifestyle have shortest protein and high sign of cellular aging. People who performed regular and intense workout have youngest and longest telomeres. 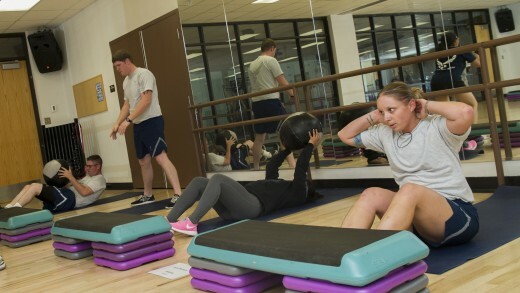 Unfortunately, there was no much difference found between those who do low to moderate workout. Obviously, something is better than nothing. One more study was held on two age groups (18-30) and (65-80). They were asked to perform 12 weeks of exercise. One group did HIIT workout and other did low-to-moderate level of workout. As a result, both types of exercise increased insulin sensitivity and lean body mass in both age groups. Would you like to give a try to HIIT workout routine? HIIT is very effective is losing fat. A study was held in 1994 in which 27 individual participated. They were asked to either perform 15 weeks HIIT workout or 20 weeks steady state cardio workout. Participants who followed HIIT program lost 12% more belly fay and 9 times more body fat in comparison to traditional cardio workout. In the past, long distance running was considered by the cardiologists for good heart health. If it is true, then marathon runners should have lowered risk of heart diseases. However, the fact is the runners have higher rate of heart muscle scarring. The good news is high intensity workout routine can lower cholesterol level, lower blood pressure, and better arterial structure. Every year, several people take New Year resolutions to follow training routine, but only few accomplish it. It is because they are difficult to stick. This is not true with HIIT. In a study, the majority of individuals stick to their HIIT workout routine in comparison to traditional cardio. HIIT involves several exercises; therefore prevents boredom. Additionally, HIIT requires lesser time and produces same result as aerobics does. Honestly, high intensity workout is not just a walk. When you perform it properly, your heart beats like crazy, your mind beg to stop; your muscles produce burning sensation because of lactic acid. But, you forget about all the discomfort and try to complete the target described. It makes you tougher mentally and emotionally. The law of thermodynamics state that you have to burn more calories than you consume which is impossible to escape. That’s why people follow cardio workout routine. The problem of cardio workout session is insatiable appetite which is unable to handle and result in nullified. But with high intensity training sessions, there is evidence that it suppress the appetite. From all the above points, it is clear that HIIT is good for your body, but do you know it makes you smarter as well? It is believed that high intensity training increases the level of catecholamine and BDNF (brain-derived neurotropic factor). A study held a Brazil, in which 22 men participated. They were asked to do sprints on a bike and cognitive test thereafter. Anybody would think that HIIT makes so tired that it is difficult to cognitive test, but the results were opposite. Participants performed the test better than those who don’t do HIIT. It is believed that HIIT keeps you young because it suppresses harmful chemical imbalances and inflammation. 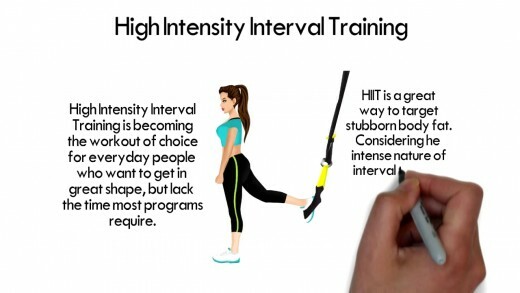 High Intensity Interval Training (HIIT) vs. Steady-State - Is High Interval Cardio Better? There are some remarkable life forms that can regenerate their cells and make them immortal, but this is impossible for mankind at present. HIIT can keep you away from death for a little longer time. So why not add it to your daily routine today?